This lovely unit 2-304 is located in the corner of Building 2, providing lots of privacy yet close to the pool and tennis courts. Enjoy world class Kamaole/Charley Young beach for the best swimming on Maui. 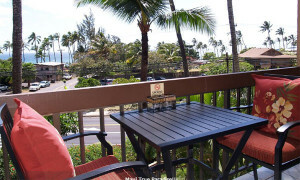 You’ll love the ocean and stunning sunset views from the lanai. 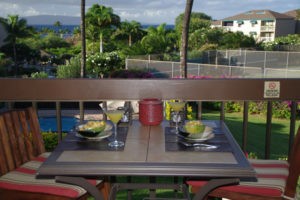 Nothing is too far from Maui Vista…famous Wailea golf courses are less than 10 minutes away for those who enjoy 9 or 18 holes to make a perfect day in paradise. Best Location, Walking distance to everything. Remodeled Bath with Granite, Custom Tile Shower. BRAND NEW- 47 LED’ Flat Screen, New Rattan Sofa Sleeper with 5 1/2′ Foam Bed. 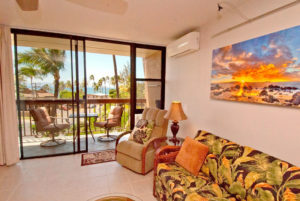 Beautifully remodeled ocean view unit is located on the corner of Building 3. 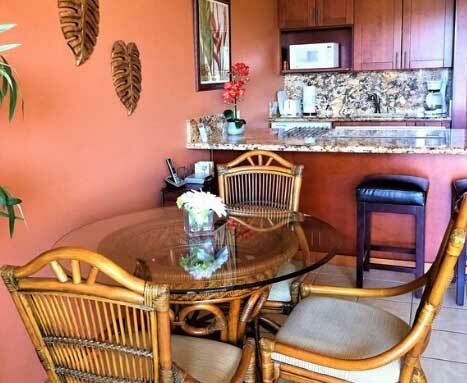 Extra windows and slightly larger than regular one bedroom make this unit extra special!